Very Nice! Enjoy your weekend!! fine image sharing the final stage of a building. 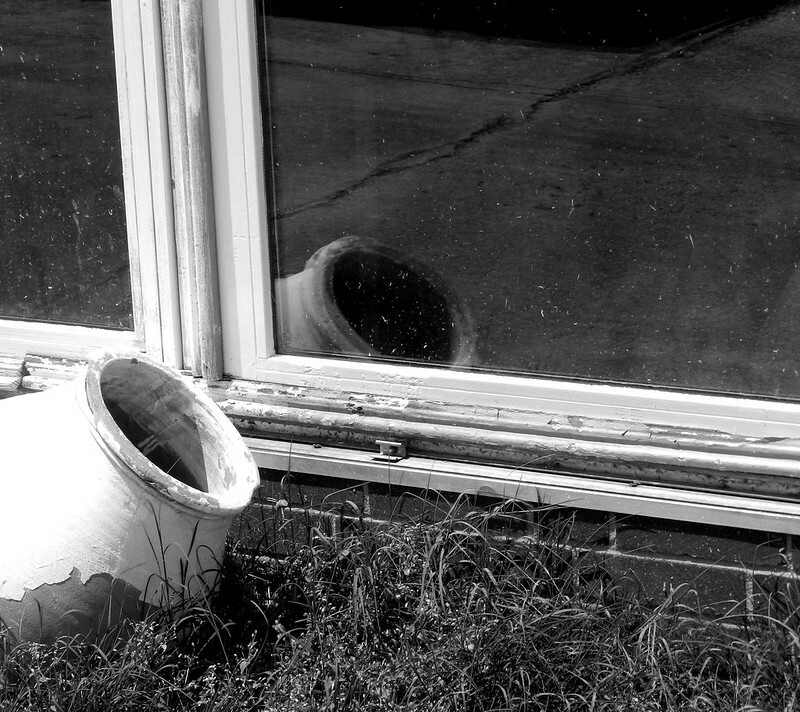 The tilted pot generates an interesting sense of abandonment - a loss of purpose and meaning. Excellent! I love the reflected pot, and the wonderful texture of the grass. Very nice. I like the blades of grass as well. Really fits well into the picture. Love the detail here, especially the pot and its reflection.